The Discovery MK2 14ft Hybrid camper combines the largest internal cabin space with the lightest tare weight within the 14ft hybrid sector. 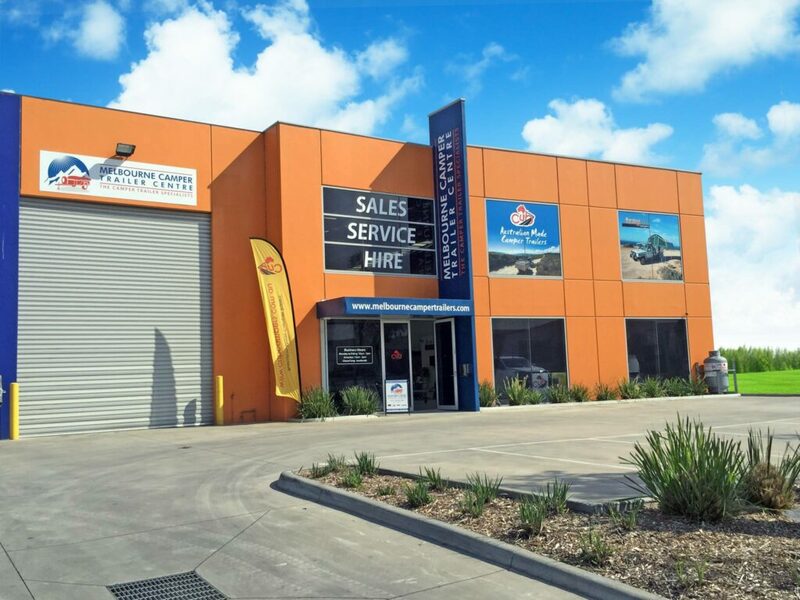 A full queen size bed, huge 5 seat lounge, extensive internal & external storage areas along with comprehensive power & water systems make this the ideal outback base camp. The Defender 15ft Hybrid camper is a luxury camper designed for first class travelling. Featuring a full size internal ensuite with shower and toilet, push button electric roof opening, expanding external gourmet kitchen, huge wind out awning and plenty of internal and external storage areas you will be able to explore those iconic outback destinations in style & comfort. 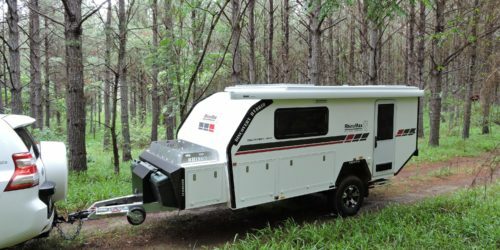 The Renegade 12ft Hybrid is luxury camping on a small footprint. 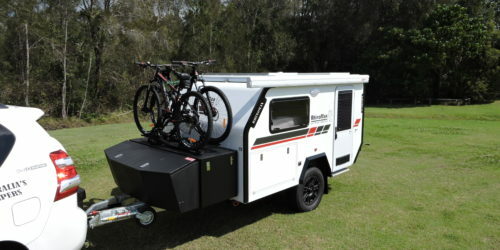 Lightweight agile and easy to tow the renegade is luxury camping on a small footprint, with a full off-road chassis and suspension whether outback or beach it will handle the off-road tracks with ease. The world of outback exploring has changed, Rhinomax Campers are making it easy to bring your adventures to life. 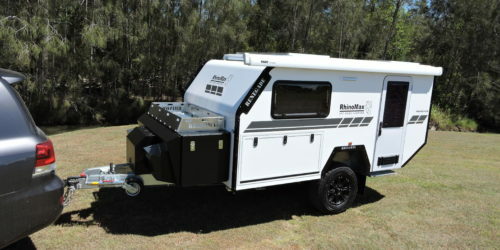 The Rhinomax Hybrid camper range has been created for those who want to experience the outback and seek out new off-road environments in style and comfort. Lightweight and easy to tow with a body width of under 2mts they follow in the track of your car. The clever internal & external design and quick set up time creates a luxurious camping experience unlike any other caravan or camper. 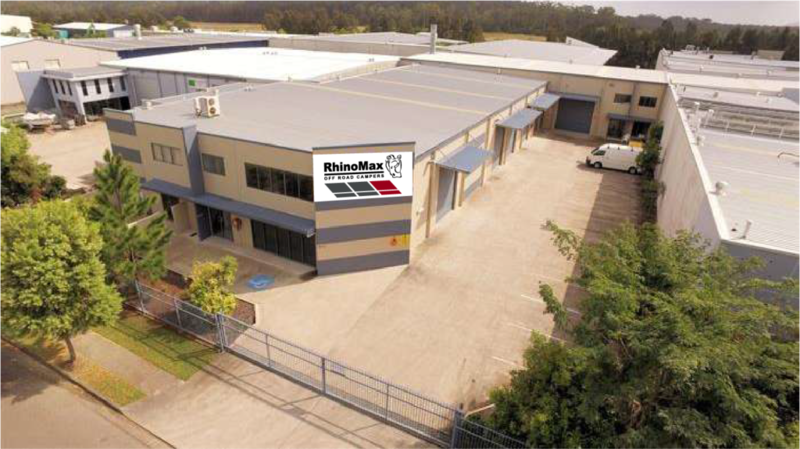 COMPARE RHINOMAX WITH THE REST AND WE GUARANTEE YOU WILL BE IMPRESSED. Our team consists of Rolls Royce engineering experts. 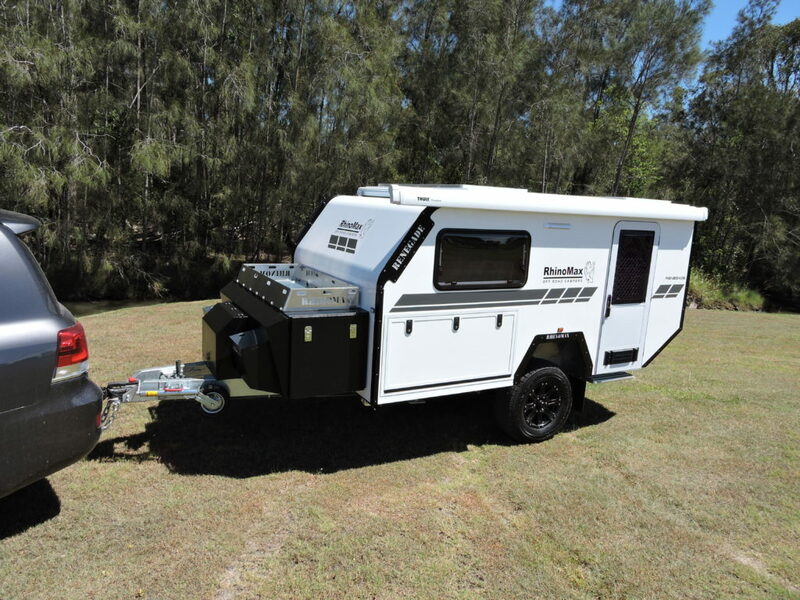 We are proud to have won Australian Camper Trailer of The Year 2015 for our Outback Warrior model. 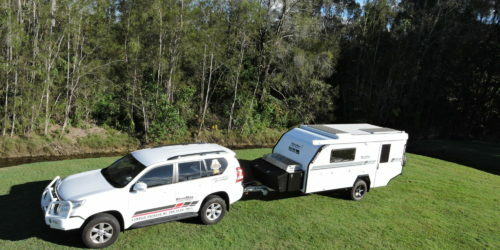 As a proud member of Caravanning Queensland you can rest assured our trailers have been audited.